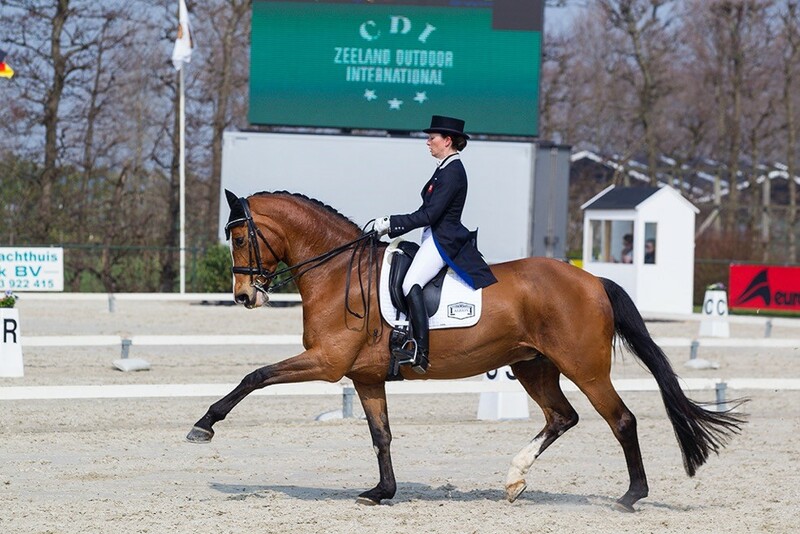 Can diet really improve your horse’s topline? When talking about condition, ‘topline’ features frequently in the horse owner’s vocabulary. But what exactly is topline and does what you feed really make a difference? The term ‘topline’ is used to describe the muscles which run down the top of the horse’s neck, along the back and over the hindquarters. As true topline consists largely of muscle (as opposed to fat), the two essential ingredients are quality protein and appropriate work. You’ve probably read countless times that quality protein is essential for muscle building but what quantifies quality protein? Protein is made of up of building blocks called amino acids, some of which are known as ‘essential’ because they can’t be produced by the body and must be provided by the diet. Protein quality is determined by the presence (or lack) of essential amino acids, one of the most important of which is lysine. Lysine plays a key role in muscle development and is also the ‘first limiting’ amino acid, meaning it is one most likely to be deficient in the diet. Protein synthesis and therefore muscle development is reliant on lysine requirements being met. UK forage is typically low in lysine but feeding the recommended ration of an appropriate compound feed or balancer will help to ensure that both protein and lysine requirements are met. Excess protein and amino acids are excreted in the horse’s urine and therefore exceeding requirements is inefficient. Having said this, optimum requirements have not been truly established so it is possible that supplementing certain amino acids may be beneficial in some horses. However beware of supplements making bold claims which may promise far more than they can deliver. Despite a significant price tag, some supplements contain negligible levels of amino acids. Getting in shape is hard work! 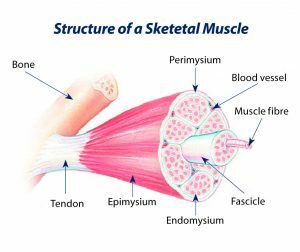 Muscles require correct training (and periods of rest) in order to stretch, repair, lay down new cells and ultimately grow. Simply feeding more protein, regardless of the quality will never achieve optimum results without suitable exercise. Body condition scoring is an assessment of fat coverage, not muscle development which means some horses will have an ‘ideal’ BCS but poor topline. Regular body condition scoring will help you to assess whether it is fat coverage or muscle development that your horse is really lacking. 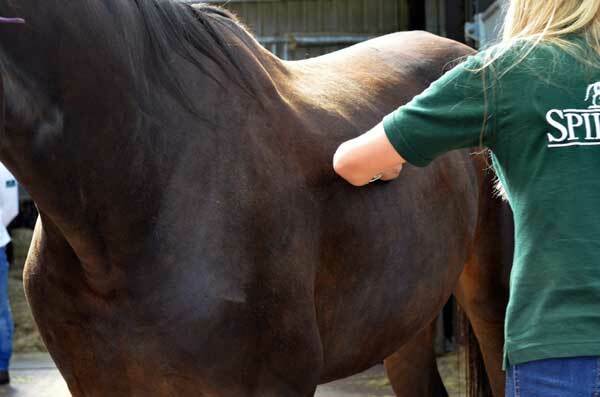 In general, muscle feels firm whilst fat feels soft although a loss of muscle tone/ mass in older or unexercised horses can sometimes be mistaken for a lack of fat coverage. For most horses, a BCS of 5/9 is considered ideal. Fat cannot be converted to muscle – fact! Unfortunately this is true for us and true for our horses. Although horses in negative energy balance (those consuming less calories than they burn) will not be able to build new muscle, avoid falling into the trap of allowing your horse to lay down excess fat in attempt to improve topline. Although dieting can be far from easy, the principle at least is simple. In order to lose weight, horses and humans alike must burn more energy (calories) than they consume. However some of this weight is inevitably lost as muscle. Aim for steady weight loss – severe calorie restriction and rapid weight loss may lead to increased muscle loss. If protein and in particular lysine requirements are not met, the body will need to break down lean tissue (muscle) to meet requirements. In addition to compromising your horse’s topline, burning muscle instead of fat slows metabolism. Feeding a balancer is the ideal way to ensure that cutting calories doesn’t mean cutting back on nutrients too!